Originally from the Mississippi Gulf Coast, just a short drive from New Orleans, Warren began singing at the age of 9 and studied music and vocal performance at various universities throughout the U.S. Taking his inspiration from Shirley Bassey, Tom Jones, Sheena Easton, and other powerful voices Warren continues to perform at local venues in Toronto, NYC, and internationally. 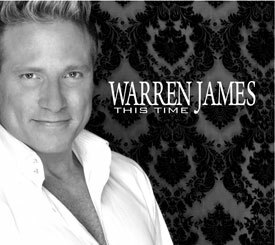 Warren released his first CD “This Time” in May 2013 which is now available on iTunes. Warren will also be present at the Festival.